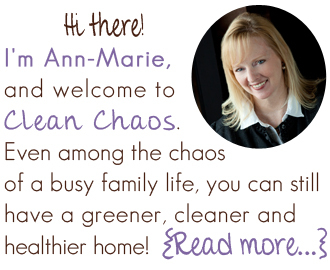 Splatters and spills when you’re cooking are inevitable, but are fairly easy to clean up. 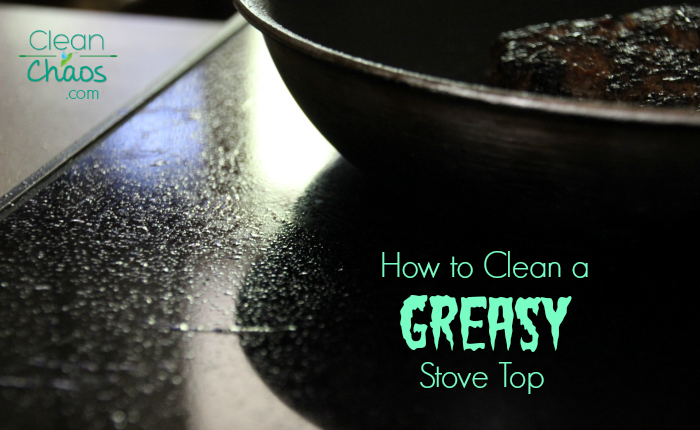 But what’s the best way to clean a greasy stove top, when all your cloth seems to do is smear the grease further? Lemon juice (pour over surface and let sit for 5-7 minutes, wipe up). Baking soda (sprinkle on surface liberally, lay a hot, wet cloth on top and let sit for 15 minutes). Undiluted white vinegar (put into spray bottle and spray on surface, let sit for 5-7 minutes, wipe up). Some of these may need to be repeated more than once. Who has the time or energy for any of that?! 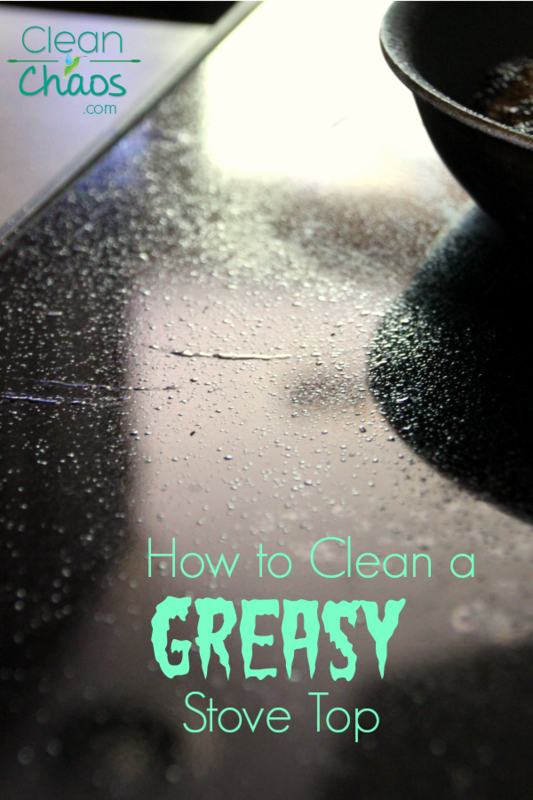 My preferred method for cleaning a greasy stove top is the same method I use for scuff marks on walls, our dirty glasstop patio table and just about any other use I can find. It’s a Norwex Enviro cloth. The Norwex Enviro cloth will remove everything from surfaces using just water, and no harmful chemicals. Yes, this ‘magic’ little cloth even removes grease! 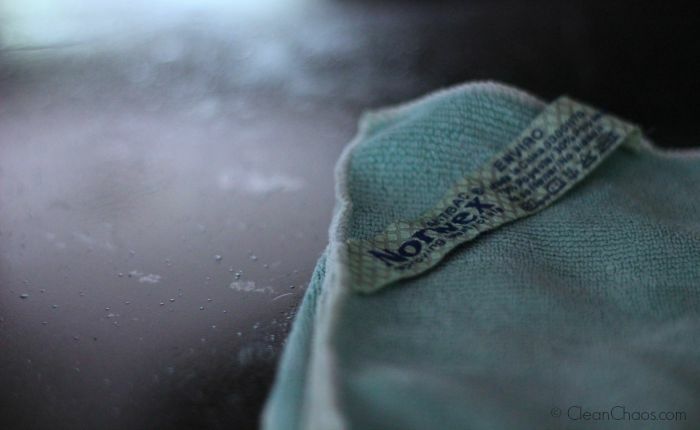 In fact, when used according to manufacturer instructions a Norwex Enviro cloth removes 99% of bacteria from surfaces! That’s some serious power! When I have a greasy stove top, I grab one of my Enviro cloths, get it wet with very warm water, wring it out and wipe. It seriously even makes a squeaky sound, it’s that clean! As if that’s not easy enough, the microfiber in the Norwex Enviro cloth is embedded with micro silver, which self-purifies the cloth. Just rinse it out really well in warm/hot water (that helps the microfiber to release anything picked up), wring it out really well (an Enviro cloth can hold 7x its weight in water!) and hang it to dry with the handy tag. The micro silver goes to work self-purifying the cloth, and just 24 hours you can use it again – anywhere! The Enviro cloth can be used again and again, for even a few weeks before laundering (just remember to not use bleach or fabric softener – like ever, but especially when laundering Norwex microfiber products). 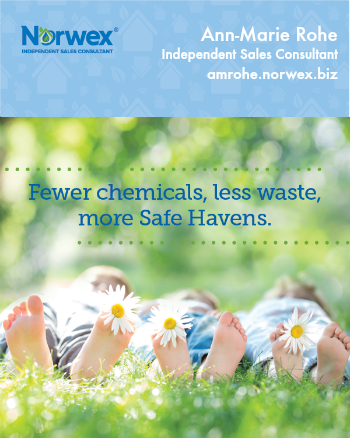 Learn more about how to purchase a Norwex Enviro cloth. If you thought this was helpful, consider sharing it with one of the colorful buttons on the left!